In every community, in every state, there are homeless animals. These are healthy, sweet pets who would make great companions. Unfortunately. About half of these animals are adopted from shelters, but the others are euthanized. Spaying your pet has many benefits. The procedure, which prevents female animals from becoming pregnant and reproducing, can help your dog or cat live a longer, healthier life. Spaying will not change your pet's personality. By spaying your female pet, you're protecting her against potentially deadly diseases, including bacterial infections, reproductive tract diseases, and several types of cancer. You also won't have to worry about her going into heat. This means avoiding the mess that often accompanies the heat cycle in female dogs and the pacing and crying that happens with female cats. Spaying your pet will also help control the dog and cat overpopulation problem, keeping more animals out of shelters. Spaying is a surgical procedure that involves removing the ovaries and uterus. This needs to be performed with the pet under anesthesia. 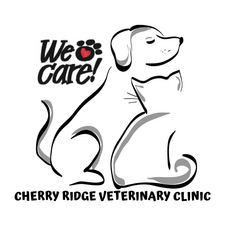 At Cherry Ridge Veterinary clinic we follow strict protocols and continually monitor your pet's vital signs to help ensure your pet's safety. To set up an appointment to have your pet spayed or to learn more about this procedure, call or visit us! 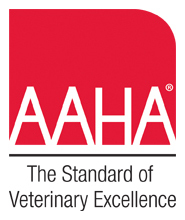 If you are struggling with the decision of whether to spay your pet, please call us so we can discuss your concerns.